"A bizarre and thoroughly enjoyable exercise inspired by the 16th-century Italian artist Archimbolodo. Archimbolodo made faces out of fruits and vegetables; Parlato takes it all one step further. The pictures are fabulous collages on stark white backgrounds, with the multiplicity of images forming the picture." "Parlato has created strange and wonderful collage portraits in the manner of 16th century Italian painter Giuseppe Archimboldo. This would be a good starter for a unit on collage or portraiture." "Children and adult readers will delight in spending time looking over the illustrations and discovering the many figures used into the collages. This book is a piece of art but will appeal to all." "Celebrates both the human imagination and the beauty of the natural world, and particularly the power of reading to transform us in magical ways." "What an amazing picture book. Stephen Parlato creates pictures using a collage technique which is intricate, colorful and mesmerizing. The story he weaves has you believe that we become what we read, and even a cat reading about hamsters, mice and rats becomes those creatures. This is one of the most unique books on the shelf and might even encourage you and your kids to get out some magazines and glue and try to create your own collage magic." 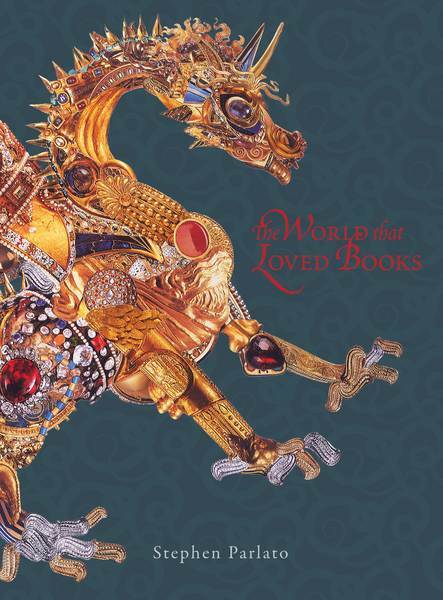 "Stephan Parlato’s imaginative “The World That Loved Books” is page upon page of stunning collages, an obvious homage to Arcimboldo, the Italian master famous for his portraits of people composed of fruits, vegetables, fish and whatever else suited his fancy. Parlato makes fanciful portraits of people, cats, horses and dragons from photographic images, such as an incredible image of a horse made up entirely of snake and lizard pictures. Children will revel in the intense detail of these constructions." "This book is a visual exploration of the power of reading. Stephen Parlato’s paintings in this book are reminiscent of paintings called Spring, Summer, Fall, and Winter by the sixteenth century Italian painter Giuseppe Arcimboldo. To depict the four seasons, Arcimboldo paints four men whose faces are composed entirely of fruits, vegetables, flowers and leaves. In Parlato’s universe, people, animals, dinosaurs and dragons all read books and are then transformed into the subject of their inquiry. A rhinoceros turns into a mass of butterflies as a cat transforms into hundreds of mice. The readers in this book find great joy in sharing the books they have just read with their companions so that they to can experience the thrill of transformation. Children will be very intrigued by these intricate and though provoking paintings and will want to spend time pouring over them. Parlato’s paintings explore the unique experience that is reading in which we surrender ourselves to other words. Like Arimboldo, Parlato revels in the beauty of the natural world and fills his paintings with bugs, insects, birds and butterflies. A PBS recommended children’s book. Thematic Links: Animals; Painting; Reading "
"Each page gives you something even more beautiful to stare at, and makes you even more impressed by Parlato’s amazing talent. 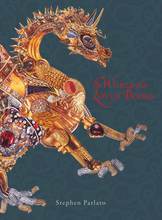 Anyone, any age, who appreciates unusual and impressive art will love this book." "This is an absolutely beautiful book! I could sit for hours just looking at the pictures as each big picture is a collage of smaller pictures that take time to pick out and enjoy. Imagine a horse made up of fish, or a cat made up of mice, rats, and hamsters. It is truly unbelievable! When I got this book, I was impressed with the cover art, much more so than the picture online did it justice. I can’t wait to give this book to my students and see how they react! Not only are the pictures amazing, but it has a great message. There is not a “plot” to this story, just instances of how people and animals change with each book that they read. I am always telling my students that with books you can go anywhere, become anything or anyone, and learn whatever you want to know. This book solidifies the premise that we become what we read. From each book we read, we take a piece of it with us and carry it around forever. What a great message for kids and adults alike. I will definitely be using this one with my reluctant readers because it is an easy read with a good message. Some children may have a hard time reading it by themselves as the text is not always linear. I like how the author manipulates the text into curves to accent the illustrations. I know that there are a few of my boys that will fall in love with this book strictly because of the illustrations, and if that’s how I hook them, then I’ve got them! I will recommend this to teachers and my librarian for the same reasons: beautiful illustrations, easy read, great message. Stephen Parlato has another book, Dragons Love, that I can’t wait to get my hands on!" "This beautifully illustrated book impresses upon young readers that books can transport us into a variety of worlds. Simplicity and complexity often don’t mix. Author-illustrator Stephen Parlato has found a wonderful way to blend the two in his picture book The World That Loved Books. The simplicity of the text integrates beautifully with the intricate, innovative illustrations…. Overall, this is a simply written book with beautiful illustrations that offer many learning opportunities. The theme is a positive one that encourages reading by representing it in a magical way. A comment on the back cover of the book about the characters who are transformed emphasizes this point: “When they closed their books, they became themselves again…only smarter.”"
"Highly recommended. Readers, both young and old, could pore over Parlato’s detailed collage illustrations for hours as each viewing seems to reveal something new. Art teachers, even in high school, will want a copy to use as an example of how collages can be created from found print materials, and language arts teachers across the grades will also appreciate the title for its ability to concretize one of the benefits of reading. A “must-buy.”"
"Bravo! This book was so spectacular I read it slowly savoring every memorable morsel of text and the intricate illustrations that honestly should be framed mounted and hung in an art gallery. This author and illustrator understands the importance of providing a simple text with everyday vocabulary. Each couplet with the complementary detailed drawing stand alone, but together they will fascinate students, engage their thinking and stimulate questions and ideas. The book will be enjoyed by all students, whether the student is an auditory or verbal learner, ELL, special needs, gifted and talented or in the mainstream classroom. Mr. Parlato’s text and collages are an oxymoron of simple elaboration. Once you read this book you will love reading it to your class. You will garner ways to use it in lessons and realize it is an essential part of your classroom library. Anyone who loves books or struggles to get others to read will cherish The World that Loved Books by Stephen Parlato, an exceptionally creative master."